Infographics should always be driven by the information and effective visual information can enhance understanding and help tell your story – contact me to find out how. 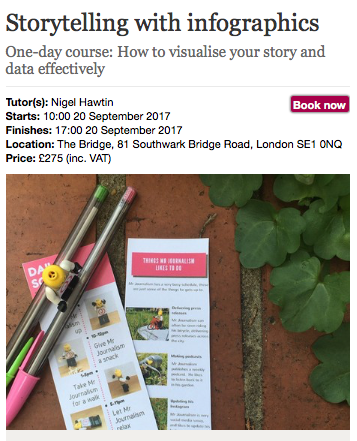 Have the data or an idea (or both) and don’t know how to best visualise it? Then contact me and let’s see what we can do together. Interested in attending one of my courses or would like me to visit your company to teach and train your staff in effective infographic and information design, then contact me for a chat.